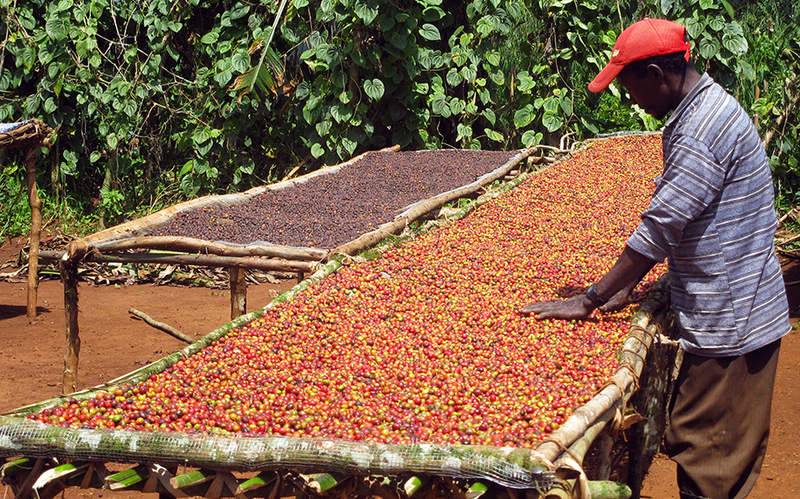 We have a VERY soft spot in our hearts for naturally processed Ethiopia’s. The climate, altitude, and nutrient-rich soil in Ethiopia combine with the dry processing method in a way that is often unmatched by other growing regions. While we’ve cupped and truly loved many washed Ethiopia’s, we always find ourselves drawn to the naturals! When we sample roasted and cupped this Yirgacheffe from the Gedeb region, we knew we had something truly special. 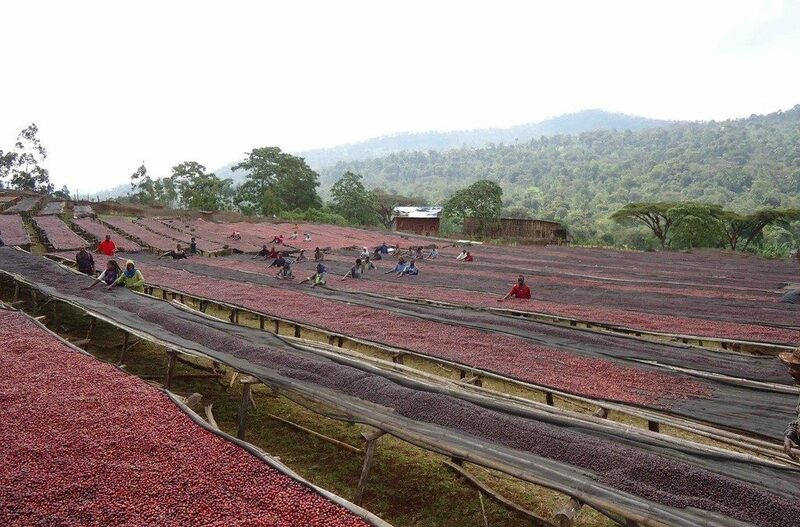 In one of the world’s highest growing regions (over 6000 ft. in the Gedeb district of Yirgacheffe), the boutique sized WORKA Cooperative (305 members) has established its reputation as one of the Ethiopia’s premier producers. Most importantly, the WORKA co-op is a certified Fair Trade and Organic cooperative. This coffee is naturally processed and berry-ful, with nuanced and delicate florals, and a distinct tangerine acidity. In the cup, it’s sweet with lots of vanilla and big blueberry. The balanced but prevalent acidity and rich body round out a complex and exciting brew. After selecting the roast profile for each coffee, we then brew the coffee on multiple brewing apparati to determine which method makes the most of the coffee’s strengths. This coffee offers a unique experience with each brew method. Some, we enjoyed more than others, but overall we appreciated each for what they brought to the table. We really enjoy the diversity offered by this coffee, and its ability to taste like a washed process depending on the brew method – truly offering something for everyone. We ranked our favorites based on overall balance and clarity of flavors. For the second time, we found ourselves truly stumped! We couldn’t decide between the Chemex and the French Press because they both offered something different, but equally enjoyable. We thought that the Chemex provided a bright, clean, and sweet cup with lots of tangerine upfront and blueberry on the back end. It had vanilla sweetness and a buttery body – like a shortbread cookie. On the nose, lots of delicate florals and blueberry jelly. While the Chemex offered a more citrus forward cup, the French Press was more reminiscent of berry jam. It was dense, heavy bodied, and sweet with BIG blueberry upfront, orange marmalade in the finish, and a perfume-like aroma. Despite the full immersion it retained lots of the acidity and was surprisingly clean. We agreed that we would all be equally satisfied with either brew method for this coffee! If you want a more typical natural, go with the French Press. If you prefer a cleaner, brighter cup, the Chemex is for you. Coming in second, the Aeropress made an excellent cup of coffee. On the nose is was very floral and perfume-like with notes of jasmine and vanilla orchid. In the cup, it was very bright and delicate. There was lots of orange flavor and citrus acidity. We diluted it a bit because of the intensity of the acidity, which made it taste more like fresh squeezed orange juice. Improving as it cooled, the blueberry shows up for the finish but was generally pretty quiet. Overall, we were surprised and delighted at the Aeropress’s ability to make this coffee taste like a washed process, but we found ourselves missing the blueberry notes that made us fall in love with this coffee in the first place. However, if you prefer washed coffees, go with the Aeropress. Kalita found itself in third place for this coffee. Still a pretty enjoyable cup, it offered lots of bittersweet acidity – more akin to grapefruit than tangerine. It was very bright and delicate, with barely-there notes of white tea and fresh blueberry. The vanilla notes were more prevalent than other brewing methods, which reminded us of an Orange Julius. While this brewing method offered an overall clarity and balance of flavors, we were disappointed by the pithy finish which left a citrus peel bitterness lingering on the back end. Perhaps with a different recipe this would be eliminated, but our 1:16 ratio needed a bit of work. The drip left some things to be desired. It certainly wasn’t a BAD cup, but while other brew methods were sweet and fruity, the Bonavita had noticeably less intensity of flavor. On the nose it promised almond and toffee sweetness, with vanilla cookies, and sugared rose. But in the cup, the berry and tangerine were muted, the body was relatively delicate, and the sweetness was much less enticing than the aroma would have had us believe. Like the Kalita, the finish left a slight citrus peel bitterness. It was overall very balanced and an “okay” cup, but at Patriot, we strive for excellence. For an excellent cup of this Yirgacheffe, stick with the Chemex or the French Press. You can buy this coffee here. For tips and tricks, head over to our brewing guide, or feel free to comment or email us with questions. Read a review of this coffee from Coffee Cantata!